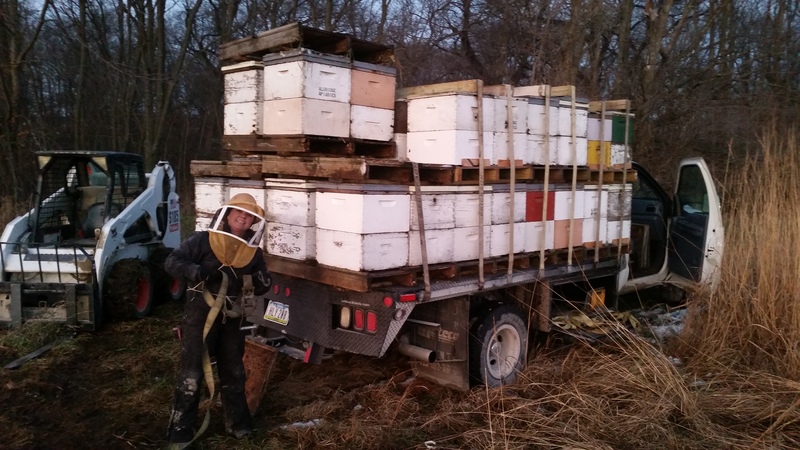 Last week some of the bees got pulled from several yards. Here are Andria and Wynne proud of loading them up and strapping them down! Nice work! And we are still feeding awfully hard. It’s incredible how much support they need after being shut inside for weeks earlier than usual. Temps are only hitting the 40s and 50s right now. So far they’re taking their supplements well. Be strong and stay populous! This photo shows some great populations that are also gaining weight. It’s good to see some return on our feeding blitz! We hope to say it was all worth the labor by the time spring rolls around! So Many Mouths to Feed! 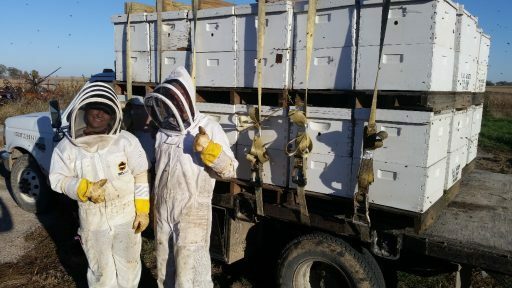 The Beekeeper Life! 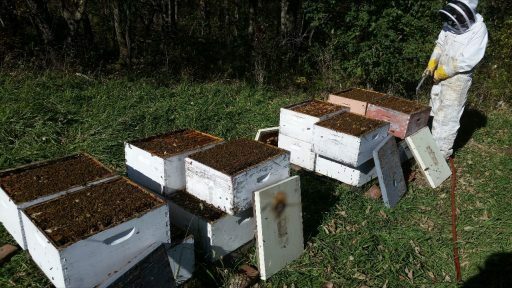 ⟵Warm Syrup and Happier Bees!